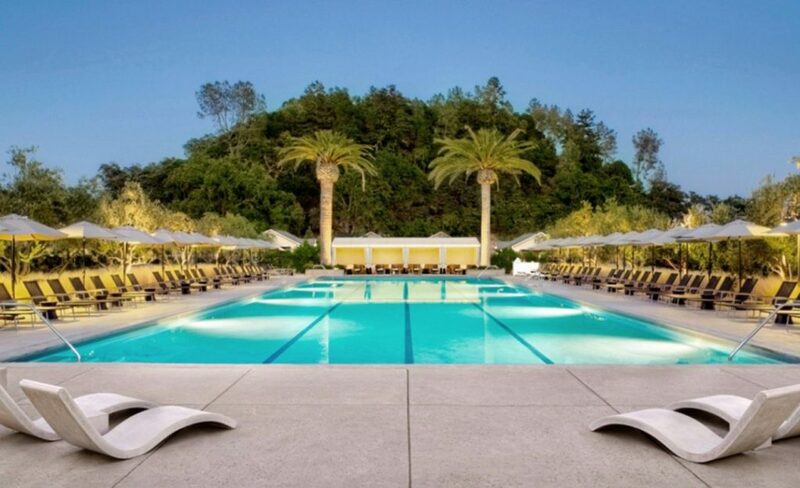 Solage, Calistoga - Four Diamond: This luxury Napa Valley resort, located along the Silverado Trail, features Michelin-starred dining, spa services with mud and mineral water therapies and complimentary bikes to explore the grounds. Inspector Notes: The scent of rosemary along the path to the treatment rooms and resting areas, commingling with the outdoor spaces, puts me at complete peace. More info. Honor Mansion, A Wine Country Resort, Healdsburg - Four Diamond: This 1893 Italianate Victorian mansion was chosen for its well-groomed lawns with expansive garden views, luxury bedding with European linens and private verandas. In true Victorian style, there is a putting green and croquet for guests to enjoy. Inspector Notes: With an unassuming entry to the property, the delightful gardens and fountains are such a surprise. I am all set to join the lively croquet game. More Info. Vintners Inn, Santa Rosa - Four Diamond: Vineyard views, a peaceful atmosphere and rooms with feather beds and fireplaces are awaiting at this Santa Rosa hotel, which also features Sonoma County cult restaurant John Ash & Co. Inspector Notes: Arriving at this tucked away European-style estate, I immediately take a mindless stroll along the scenic walkways. More info. 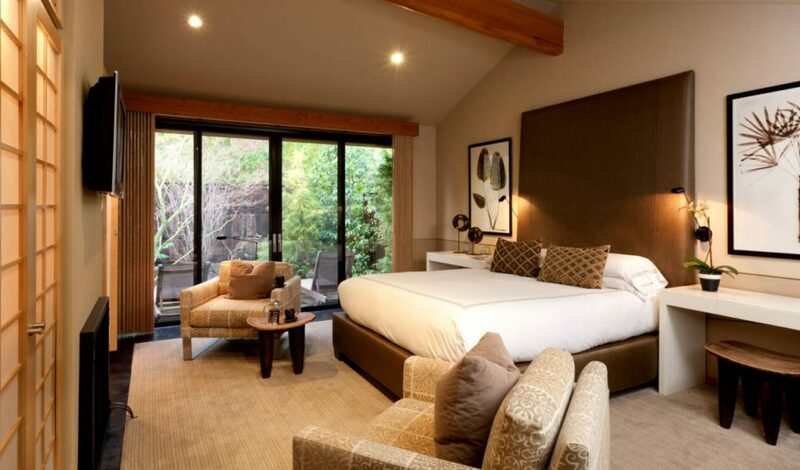 Gaige House, A Four Sisters Inn, Glen Ellen - Three Diamond: Each of the Inn’s nine “Zen” suites features décor with a modern, Asian flair while the setting along the Calabaza Creek provides a relaxing outdoor swimming pool and large patio area. Inspector Notes: Some of the suites feature an enormous black stone tub that must weigh a ton along with a petite Japanese garden. I find it so relaxing here. More info. 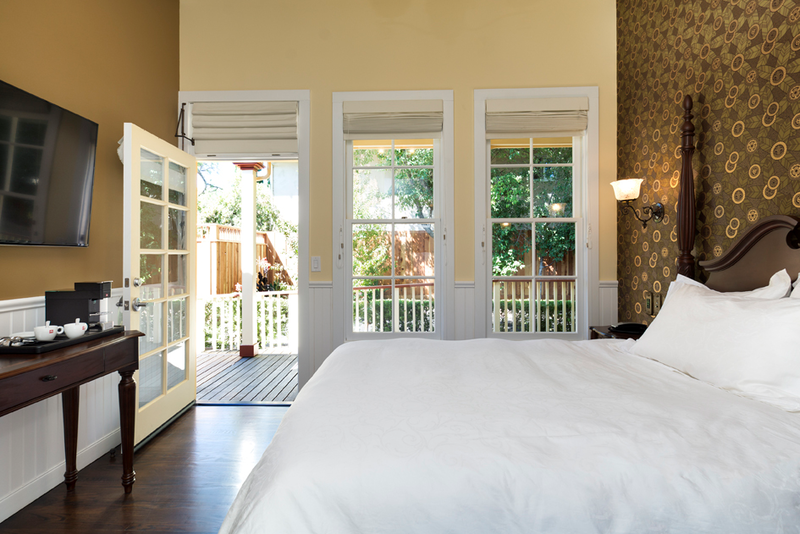 Brannan Cottage Inn, Calistoga - Three Diamond: Built in 1860, this Victorian-style house features upscale, modern hotel rooms. 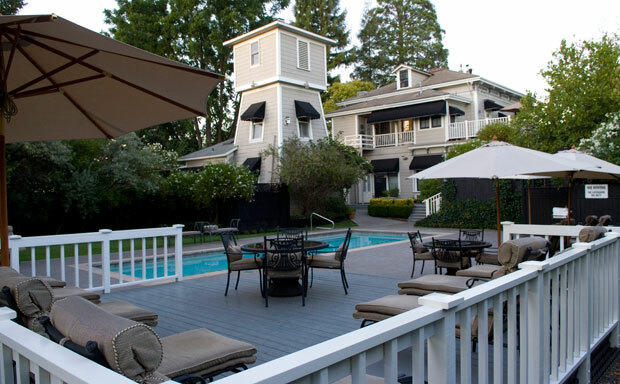 Selected in part for its property grounds, the hotel is surrounded by lush gardens and is just a few blocks from the shops and restaurants of Calistoga. Inspector Notes: My favorite room at this inn has super soft Frette duvet bedding, in-room espresso machine and large window overlooking a row of swaying bamboo trees. More info. Chelsea Garden Inn, Calistoga - Two Diamond: This bed and breakfast, nestled in the Napa Valley, is an oasis with a seasonal pool, a private courtyard and quaint, cottage style rooms. Guests can also enjoy an expansive library on the grounds and a gourmet breakfast served each morning. Inspector Notes: Birdhouses, Buddhas, waterfalls and flowers are a few things I found as I walked the grounds. I'm in awe of how such a small area can be so beautiful. More info. 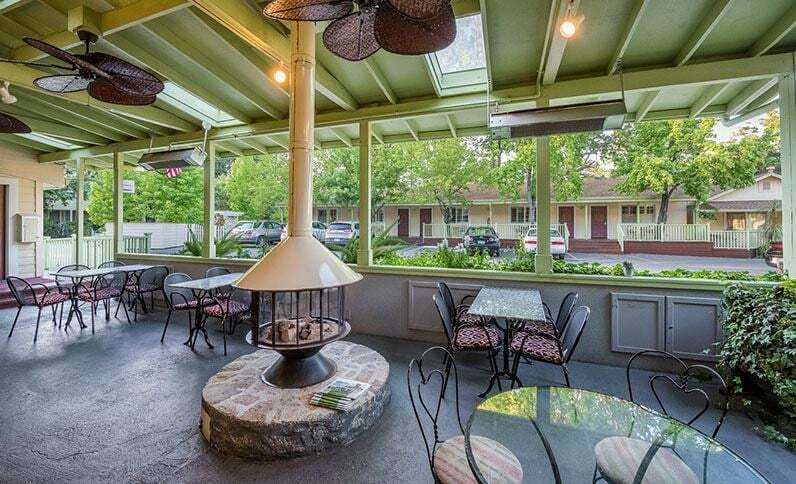 EuroSpa & Inn, Calistoga - Two Diamond: Guest rooms at this lodging are well appointed, and include amenities as fireplaces, jetted bathtubs and bathrobes. Enjoy the relaxing pool; it's heated year-round. An outside breakfast area features a fireplace to ward off any chill. Inspector Notes: I love how cozy and inviting the outdoor breakfast area is with fresh croissants, gourmet coffee and roaring fire each morning. More info. Every year AAA sends some 60,000 anonymous hotel inspectors to hotels across the country to find out which lodgings are most deserving of its highly anticipated Diamond awards. Diamonds are diligently assigned based on a variety of factors such as facilities, amenities, cleanliness, and comfort – out of the 28,000 hotels reviewed, only 2.1 percent have a Four Diamond rating. 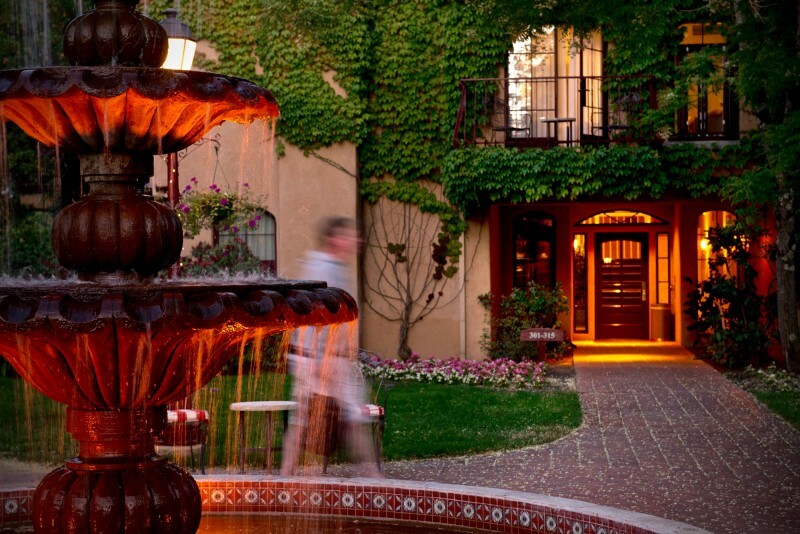 Wine Country is certainly known for its world-class wineries, but what about its hotels? 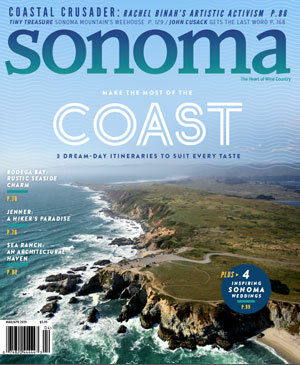 Click through the gallery above to see the AAA inspectors’ favorite diamond-rated hotels in Sonoma and Napa.